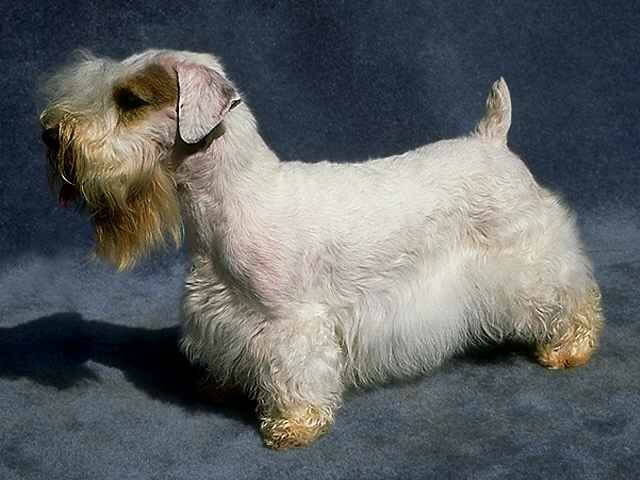 Small but powerful, the Sealyham Terrier is a proud and pleasant breed. Its head, in perfect balance with its body, is long and broad, with a domed skull and slight groove between the brows. It has a square jaw with a level or scissors bite. Wide and deep set, the eyes are dark, medium sized ovals with the characteristic terrier expression of intelligence and framed by thick, folded ears rounded at the tip. Its long, strong neck is well placed on powerful shoulders. It has a deep body with well sprung ribs and a straight back that gently drops into hindquarters that extend well beyond the docked and upright tail. The coat consists of a weather-resistant combination of a soft, thick undercoat and wiry topcoat. The Sealyham Terrier is usually solid white, though it may have lemon, tan or darker brown markings on its head and ears. 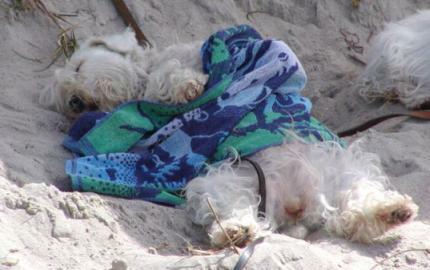 Common Misspellings Sealiham Terrier, Seelyham Terrier or Sealeham Terier. Not as active as other terriers, the breed is generally calm and laid back, but still playful. Though terriers usually do not tolerate other animals, including dogs, the Sealyham is typically good with other pets. Be warned, however, that it may become aggressive with other dogs. It can be shy with strangers and is better with older children. Owners may find this breed difficult to train. Special care should be taken with socialization to prevent tyrannical behavior, and the dog should be socialized and trained at a young age. The Sealyham Terriers pride may lead it to consider itself a human part of the family and its charisma may lead its owner to treat it as such. 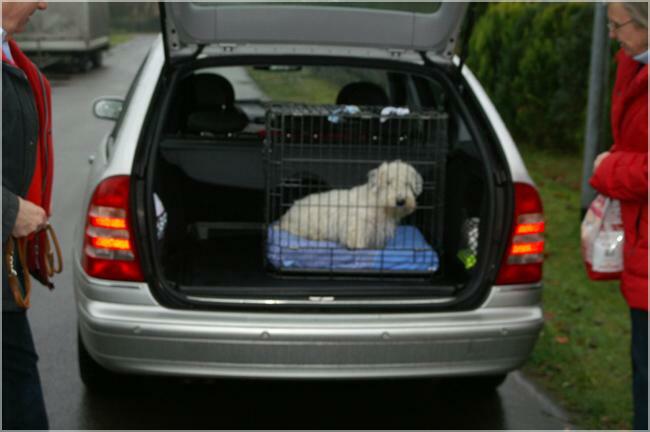 The Sealyham Terrier makes a good watchdog, as it is courageous and likes to bark. A short daily walk or a romp in a small yard will provide sufficient activity. The Sealyham sheds very little, but this major benefit for those with allergies also means that the dogs coat requires special attention. Regular brushing with a heavy comb as well as occasional stripping are necessary to prevent mats. The dog prefers cool weather, but does well in most climates. The Sealyham is allergic to fleas, and, though rare, owners should keep an eye out for lesions on its back. A hardy breed, the Sealyham Terriers only known hereditary risks are retinal dysplasia and lens luxation; very rarely, owners have also reported deafness in older dogs. Edwards created his breed with a keen eye to bravery, and eventually his dogs became renowned for hunting otter, fox and badger. 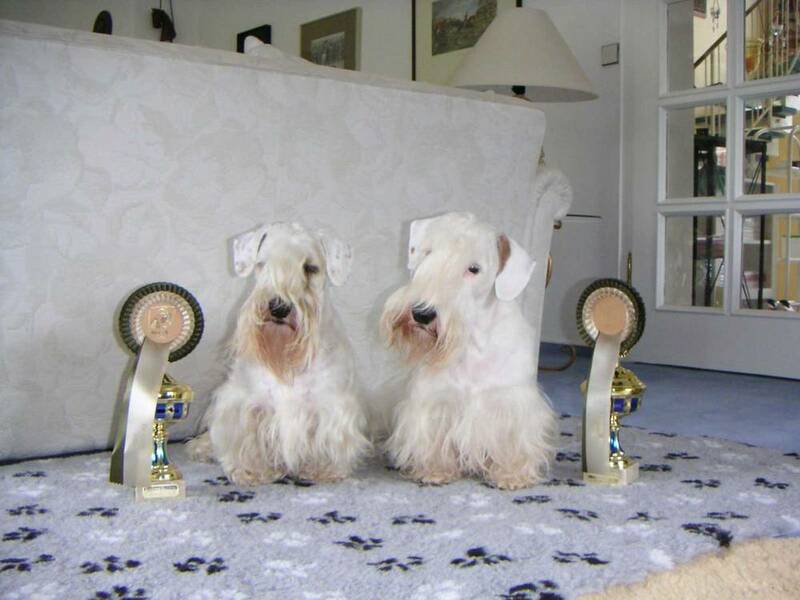 The Sealyham's first appearance at show was in October 1903 in Haverfordwest, Wales, where five years later the Sealyham Terrier Club of Haverfordwest formed and created the original breed standard. In October of 1910, the breed appeared in its first championship show at the English Kennel Show, and the Kennel Club officially recognized it in March of the following year. Soon thereafter, in 1911, the Sealyham Terrier was recognized by the American Kennel Club, only shortly after importation. The popularity of the breed at show has been fairly constant since its American debut in September 1911 in San Mateo, California. 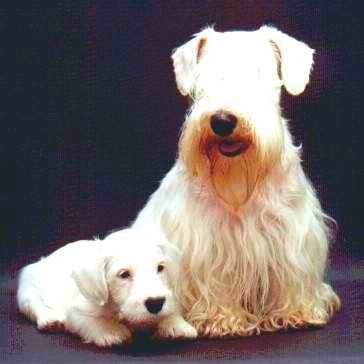 The American Sealyham Terrier club was established May 15, 1913. 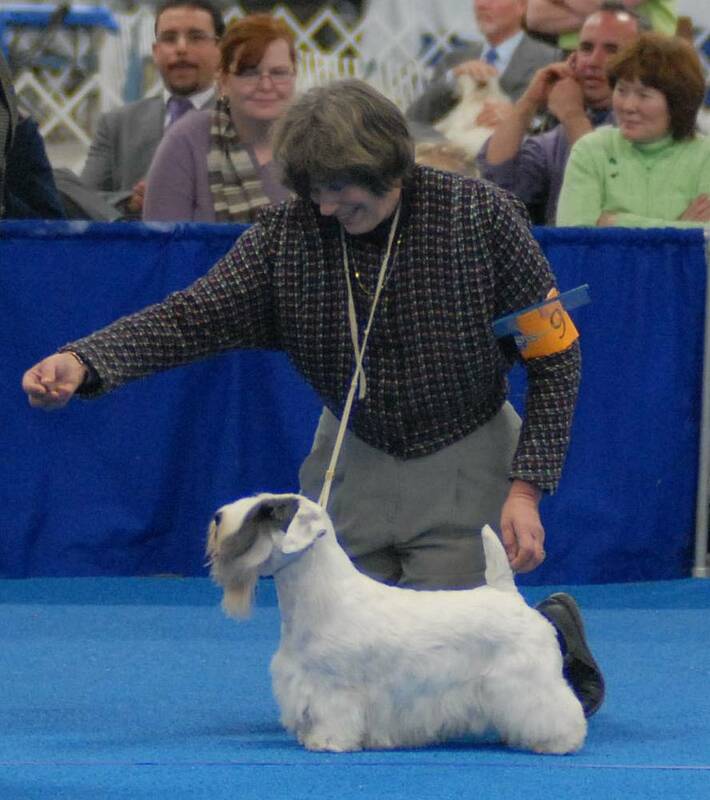 The Sealyham Terrier has won Best in Show at Westminster four times. Though fewer then 100 Sealyhams are registered with the AKC each year, the breed does boast some famous owners. Gary Cooper, Humphrey Bogart, Cary Grant and Alfred Hitchcock all owned Sealyham Terriers; in fact, Hitchcocks dogs made cameo appearances in The Birds and Suspicion.